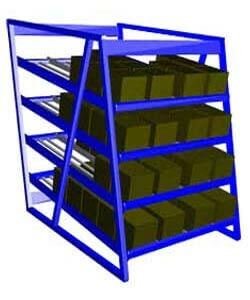 UsedRack.com is the used pallet racking & warehouse storage shelving division of SJF Material Handling Inc., servicing the Minneapolis & St. Paul areas, as well as the rest of Minnesota, the midwest and surrounding states. 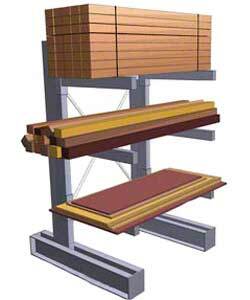 Roll Form & Structural Pallet Racks are a great basic pallet storage solution. 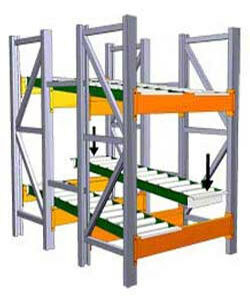 Drive In Racks can maximize storage in a warehouse racking system. 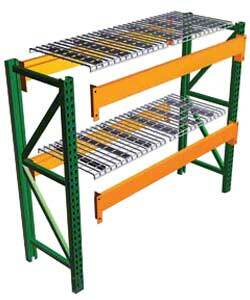 Cantilever Racks work well for storing long, bulky items. 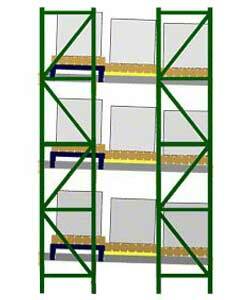 Push Back Racks offer flexible high density FIFO storage. 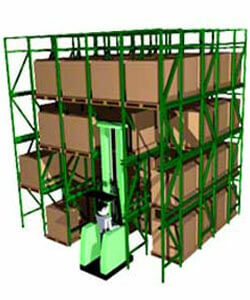 Carton Flow & Case Flow Racks work best where products rotate often. Span-Track allows you to transform pallet racking beams uprights into a dynamic high density storage system. A family-owned and operated local Minnesota business, UsedRack.com is the used warehouse racking division of SJF Material Handling Inc. 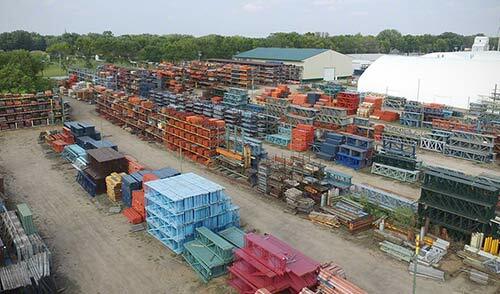 Since 1979, UsedRack.com has provided Minnesota companies, large and small, with name brand pallet racks, cantilever racks, carton flow racking, wire decks and other material handling equipment systems and solutions at discount prices. Unlike some dealers, we don't advertise equipment we don't own. We welcome and encourage you to inspect any of the warehouse storage racks for sale prior to purchase. As Minnesota's largest stocking distributor of new & used pallet racking, warehouse storage racks, industrial racking and other material handling equipment, we have over 24 acres of warehouse equipment in our Winsted, Minnesota location. Don't delay - call us at 612-238-4780, email or visit us at one of our warehouse racking system stocking locations here in Minnesota. You'll find friendly, seasoned rack experts standing by to assist you. Our sales staff prides themselves on providing you the best possible prices and industrial racking selection in the nation. Whether you're a one-man shop or a Fortune 500 company, we'll do whatever it takes to find the pallet racking systems equipment that's right for you and your storage needs.